Happy New Year everyone! I hope you had a lovely Christmas and New Year, but it’s now time to get back to it. 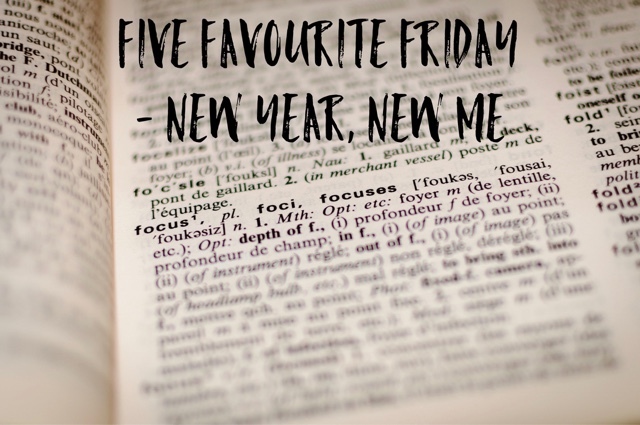 We’re back for the first Five Favourite Friday of 2017 with our top things to consider as part of your New Years resolutions, just in case you were struggling for ideas. 5. Lose Weight. This is usually one on my list every year. And every year I fail. I’ll be posting a resolutions post over the weekend, but this one is definitely on my list once more. Only this time, I’ve already started losing weight before 2016 had even ended. So the plan is to continue more than it is to start. 4. Learn something new. A new language. A new skill. A new sport. You get the idea. 3. Go somewhere new. Take a trip abroad. Go on holiday. Explore your home nation. Go on a day trip to somewhere you’ve never been before. 2. Increase physical activity. I think this is something most of us can do with doing. I know for certain I don’t exercise anywhere near enough as I should! 1. Give something up. Smoking. Drinking. Even biting nails! Basically any bad habit can be kicked with a bit of will-power and when better to start than a New Year! I’m sure those of you who are making resolutions this year have already made them. But in case you were struggling for ideas, or wanted to choose just one rather than making a whole list – I hope I have been of assistance! 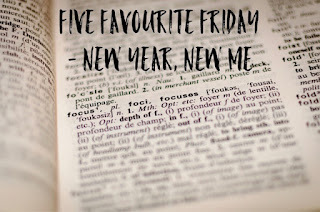 As always, pop across to Tim’s blog – Broken Thoughts – to read his post and head on back over the weekend to read what my resolutions are for this year!